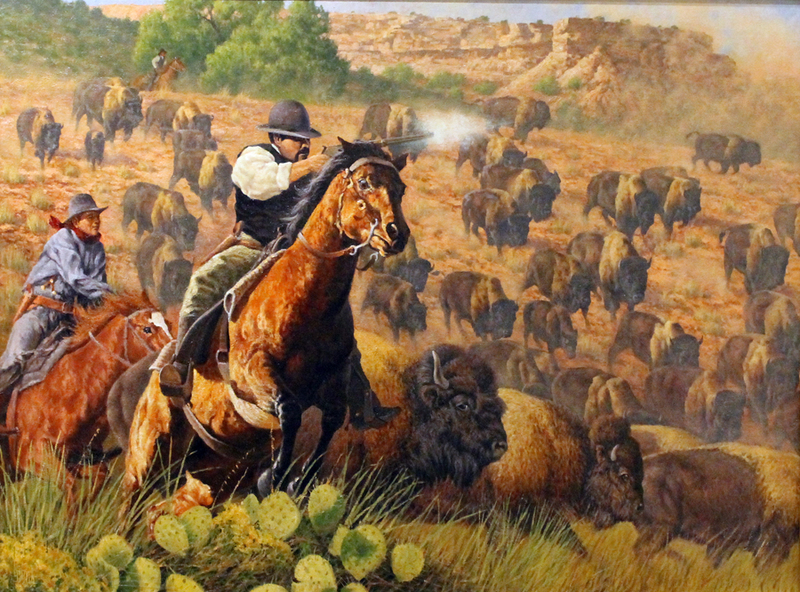 Charles Goodnight and two cowboys drove over 10,000 Bison from the Palo Duro Canyon to make way for his Longhorns. 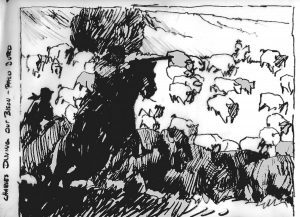 He would shoot close to the Bison grazing on the canyon sides, driving them down into the stampeding herd. The red dust of the Palo Duro rose for a thousand feet to the skies above.